Exposing your cat to all natural Fresh-nip™ catnip will motivate your cat to exercise and will help to reduce her stress. New, convenient “Try-Me” size of .25oz. 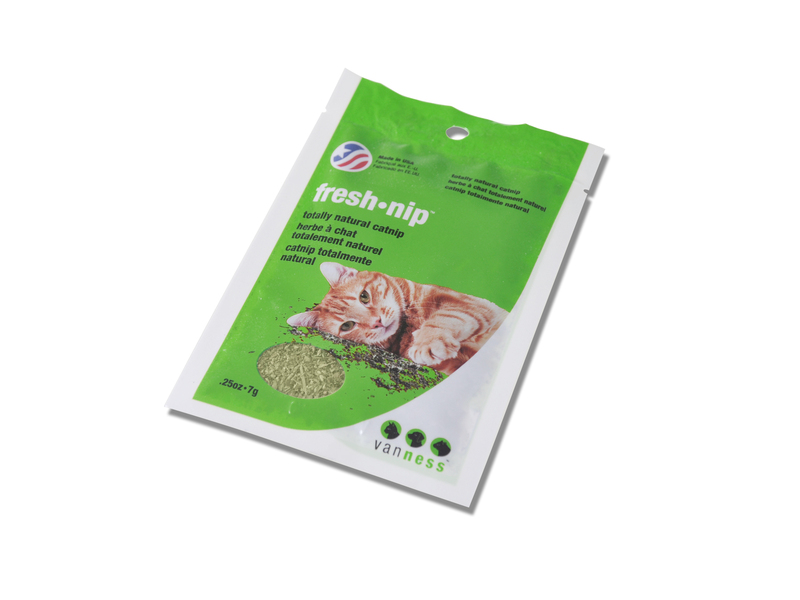 Van Ness Fresh-Nip Catnip is now available in a smaller .25oz. size making it easy to try.Fresh Nip® Catnip is a source of safe, pure enjoyment for your cat- completely free of any chemicals, pesticides or herbicides. Grown and processed in the USA.